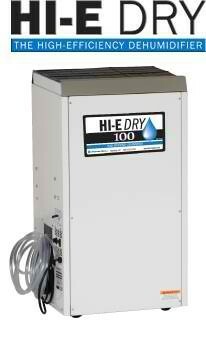 Are you in the market for a dehumidifier with pump? Dehumidifiers come in all shapes, sizes, designs, and configurations. However, some features make them more owner friendly. When choosing a unit, there are several things to consider, other than just a dehumidifier with pump. First, make sure the unit you want to buy is going to actually perform the way you want it to. This can be accomplished by making sure the unit is sized correctly to the amount of air that you have to be dried. Other factors will also influence this, such as if the space is heated and cooled, what happens in this space, and how many people generally occupy the space, etc. If this step is not done properly then there is a good chance the unit will not perform the way you are expecting it to. You will need a place for the unit to sit. Most people prefer them to be out of site and not sitting out in the open. This could be in a closet, mechanical room, or maybe you will have to build a space for it. If you sit it in a mechanical room, for instance, you can duct in wet area from the room and duct dry air back into the room. You will need to make sure that the space you choose though has a drain of some kind. This way the water that is collected by the dehumidifier can be sent down the drain. The other option would be to drain it to the outside. However, this may not be totally feasible either depending on your situation. You will also need to decide whether or not a desiccant or a refrigerant unit is best for your situation. Some situations will be more suitable to a desiccant, while others will be more suitable for a refrigeration style unit. A good equipment supplier should be able to help you make this decision. Once you have some of the basic decisions out of the way then you can look at features of your unit. One feature you will be glad you have is a dehumidifier with pump. Having a pump on the unit will ensure buckets don’t overflow and the unit runs continually. So smaller units have ½ gallon buckets on them that fill up and then shut the unit off til the bucket is empty. However, most situations are going to call for a much larger dehumidifier with pump. This will allow the unit to pull moisture continually. This article was published on Tuesday 22 January, 2013.